He meekly accepted the arrangement. She seemed so very meek and mild. He tried to dodge the question. She sells antiques as a tax dodge. Evans denied making sexual advances to her. She rejected his unwelcome advances. The elephants retreated to the safety of the forest. When she came towards me shouting, I retreated (behind my desk). Clara, embarrassed, retreated into silence. The panel demanded that the report be made public. She demanded that he return the books he borrowed from her. 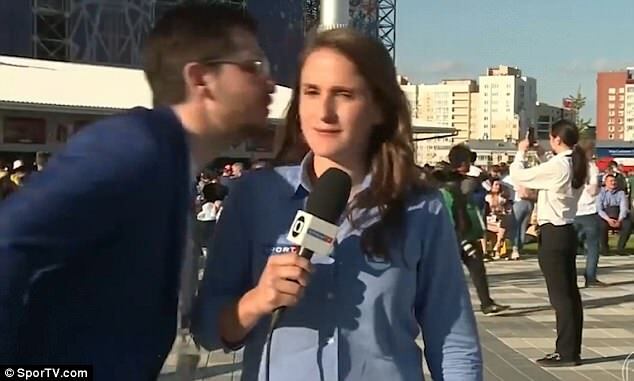 A female reporter brilliantly lectured a football fan who tried to kiss her as she was reporting from the World Cup in Russia. 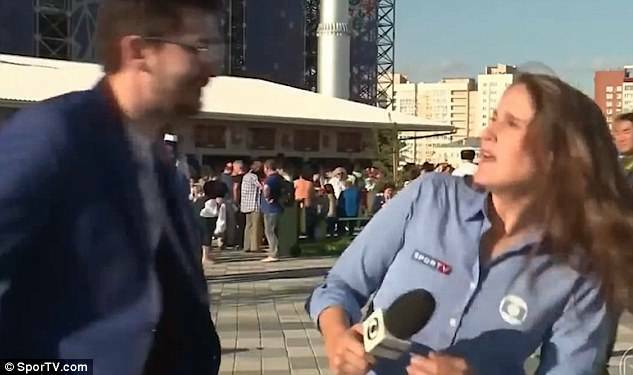 Julia Guimarães, a reporter with TV Globo and SporTV in Brazil, had been filming to camera ahead of the Japan v Senegal game in Yekaterinburg on Sunday. The camera captured the moment a man approached her and tried to kiss her cheek – which she quickly dodged. But the reporter then scolded the fan, who she described as Russian, and he retreated quickly with a meek apology. Rick walked on ahead of us. The car ahead of us stopped suddenly. His mother scolded him for breaking her favourite vase. His mother scolded him for breaking the window. He never raised his voice or scolded me unfairly. ‘Don’t do this. Never do this again, OK?’ Ms Guimarães tells him. ‘I’m sorry, sorry, OK, OK,’ he is heard replying from out of the camera’s shot. Ms Guimarães continued: ‘I don’t allow you to do that, never. OK? This is not polite. This is not right. The reporter later revealed that it was the second time a fan had attempted to kiss her in Russia. ‘I’m experiencing it a lot in Russia,’ she told Globo Esporte, adding the harassment had ranged from aggressive looks to songs in Russian aimed at her. ‘Which obviously I do not understand, but I feel,’ she said. She added: ‘It’s awful. I feel helpless, vulnerable. This time I gave an answer, but it’s sad, people do not understand. She picked up an apple and aimed it at his head. 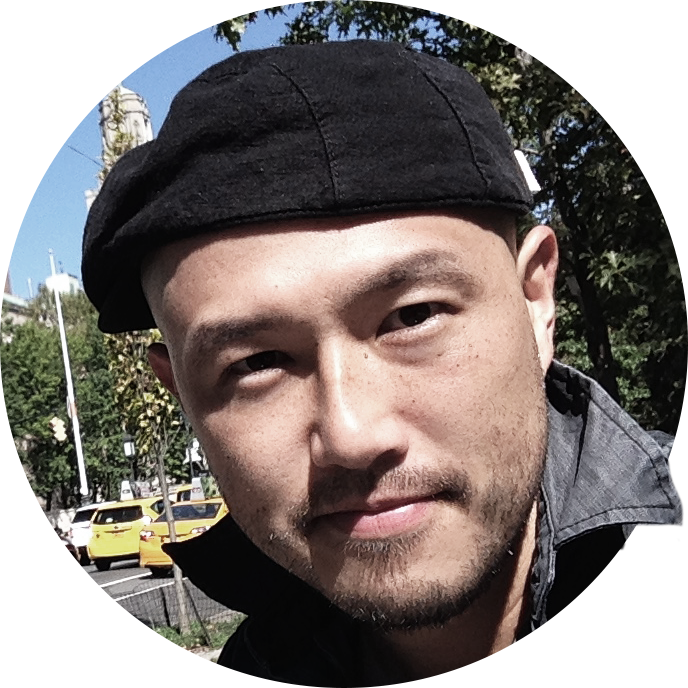 The new photo editing software is being aimed at mobile application developers. The government’s campaign is aimed at influencing public opinion.